Many people have bought the Lars Jonsson poster that we have been lucky enough to be able to make available following our trip to Sweden earlier this year where we were fortunate to meet up with this much admired artist. A lot of people have since asked us to confirm the identities of the species concerned (as they are only listed in Swedish), as a result of these enquiries we have created this little key to the birds pictured. Unfortunately our stock of posters that had been signed by Lars has now run out, demand was, as you'd expect, great. 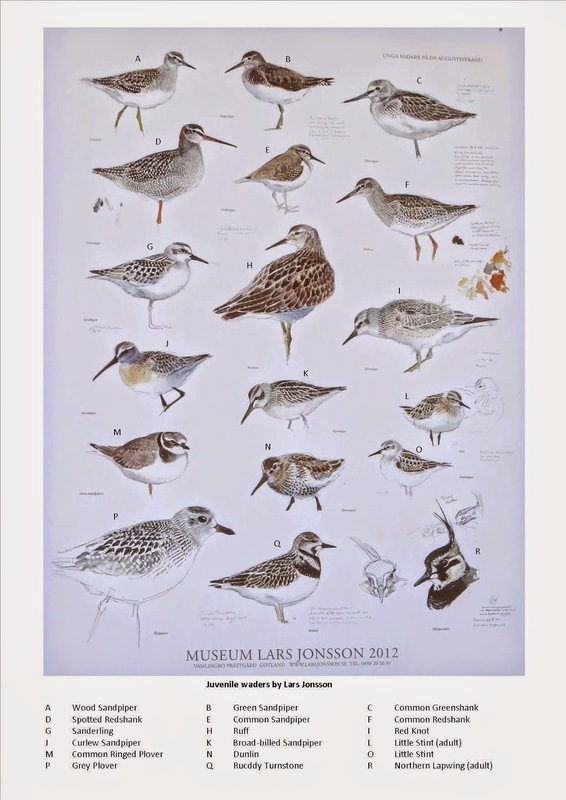 However we do still have some unsigned posters in stock, so, if you would still like to get one to decorate your office, school, bird centre or bedroom, please feel free to get in touch via our email waderquest@gmail.com.